Your MDA convention host committee is working with the MD Convention Committee to provide a service-filled event. The convention program is still a work in progress; however, we think you are going to like what your convention has planned! I have the honour of chairing the District A711 Effective Speaking Contest. As in the past I am asking your club to contribute to defray the costs, both for our district contest and our Multiple District A contest. Our District contest will be held on April 7th., 2018 courtesy of York Lions Club at York West Active Learning Centre, 1901 Weston Rd. Toronto. 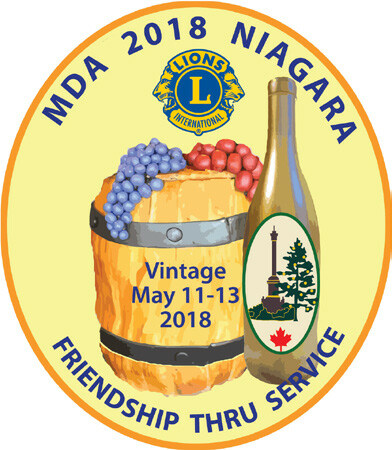 The MDA contest is being hosted by District A2 and will be held on May 4th, 5th, and 6th, 2018 at Holiday Inn in St. Catharines. If your club is interested in entering candidates or hosting a regional, zone or Club contest, please contact me for further information. Anyone who has help out at either the district or MDA contest please let me know if you would like to participate again. My contact information is listed below and on the suggested donation form. IPDG Bill Willcocks, Effective Speaking Chair A-711. The AirB&B link for our cottage in PEI. This property is exactly what you would expect from a 5 star hotel, minus the turn down service, clean, bright , comfortable, with stunning views of the bay. Exceptional value and hosts that go beyond even the standard for PEI Hospitality. We are renting the cottage for $100 per night except the months of June. July and August which is $150 per night. Please consider visiting PEI and/or pass this on to people you know who might be thinking of visiting PEI. It includes entrance fee waivers for eligible veterans and current military personnel. The LCI certification form for the new members lists information for US Veterans, but comparable certification for Canadian Veterans would be accepted by LCI. The program was initially for the USA but the appended materials were modified for Canada by our GMT Area Leader Chris Lewis. Attached is me702 (Press Release), me704 (Club Brochure), and he adapted the club brochure to become a flyer for use at local Legion branches, military bases, etc. The LCI certification form for the new members lists information for US Veterans, but comparable certification for Canadian Veterans would be accepted by LCI. Probably some of you have already elected the New Set of Club Officers for Lion Year 2018-2019 – Congratulations. For those clubs that are still in the process of electing their club officers, we are looking forward to meet the leaders who will continue the great works your clubs are doing. The District Global Leadership Team is looking forward to meet the New Set of Officers at the coming District and Club Officers Training scheduled after the district convention. Please refer to the attached Notice. As you all know, every year the district conducts training for all the District and Clubs Officers for the incoming Lion Year. Please note that these training is open for all the Lions who would like to accept challenging positions at the club and district levels, as well. Please encourage your incoming officers to attend the training to learn the updates from Lions Clubs International and experiences of their fellow participants. Once we finalize the structure of the training, you will be notified immediately. The Lions Clubs in our District have been promoting ourselves and our projects at the Carassauga Festival of Cultures in Mississauga since 2011. This year for the first time since we began we have an new Challenge that need your help with. A brief history: The Mississauga Central Lions Club purchased a Silver Sponsorship with Carassauga in 2011 for $5,000 to promote Lions Clubs, which put our Lions Logo on all of their Carassauga promotional materials and all of their venues. We were able to arrange for the International Peace Poster Contest winning entry to be on the cover of the Carassauga Program magazine and to include a full page article in the Program magazine. Last year Carassauga had 31 Pavilions representing 70 cultures and over the Carassauga weekend they attracted 385,682 visitors from all across southern Ontario. With our Lions Clubs focus on delivering public facing Service to our communities, this event has provided us with great value in marketing Lions Clubs and communicating what we do. As a result of the relationship built in the first year we participated, we were able to continue have a booth each year since then until now. Unfortunately the Executive Director of Carassauga we worked with has left the organization and we are being asked to pay for the booth this year. The asking price is $1,500.00 for the full Carassauga weekend. We have pointed out that we are a not for profit and outlined our policy on handling of public funds. I ask each club in our District to pledge some amount towards this total by no later than 9:00 PM Friday April 13, 2018. Please contact Danny Galicia the Carassauga/CNE Awareness booth Chair email (416)457-1006 and copy me with your club’s decision one way or the other. In talking with a Carassauga board member, I sensed that we may still be able to negotiate a booth even if we don’t quite reach their asking price. Please contribute what you can. Please help us get the booth space so we can continue to promote Lions Clubs International. The Toronto Kaiteur Lions Club is having their 3rd Annual Electronic Recycling Collection Event on Saturday June 2, 2018 at the L’Amoreaux Community Centre. Milton LC Lobster fest goes May 26. 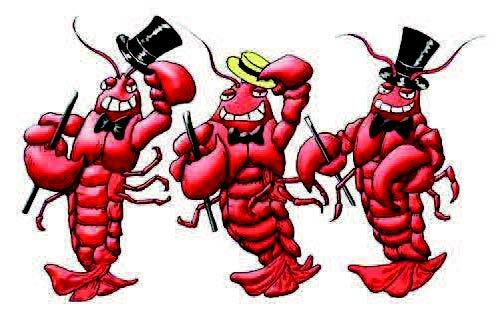 Tickets are $55 for 3 lobsters (about 3/4 pound) or fresh roast beef. DJ, door prize, auction. We need to know in the next couple weeks if people are coming to it as we are concerned we won’t have the numbers needed this year and may have to cancel this event. Hoping you can join us for our annual spaghetti dinner on April 24 at Heron Park Community Centre. Details in the attached flyer. This has always been a good time for all. Come out and enjoy a homemade Italian dinner, glass of wine, music and good fellowship. Our guest speaker is Noelle Jack, an author who lives locally. She wrote a book called Shire Summer which was well received and will be of interest to adults and young adults alike. Check it out. Let us know if you can join us. March 31st is the date by which we want to finish the Oakville Trafalgar Memorial Hospital Campaign to raise funds for their ultrasound unit. If anyone has a problem, then they can email Lady Pravin their concern/or call 905-827-9382. We have no words to thank individual donors and Lions clubs for their philanthropy, help and support. Couldn’t have done without each one of them. We need all the pledges sent in by March 31st and any new donors if they can help and support us too. All cheques must be made payable to Oakville Hospital Foundation and envelopes to be mailed to Pravin Sharma. (Contact your club secretary for Pravin’s address.) The date is important as we want to recognize all the donors at the Convention. Your kind support from the beginning has been enormous. Now you have to take me to the finishing line. 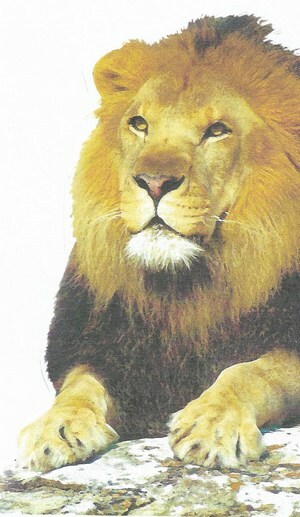 Lions of District A-711 Come join us in the Toronto Beaches Lions Easter Parade—and help carry the District Banner. Those who participated last year know how much fun it was. We will meet in the same spot, April 1st by 1:00 at Victoria Park and Queen. We’re excited to announce that Music Scarborough has now posted the results of our festival. Anyone with a First Place finish is entitled to a medal. We have also posted the OMFA Provincial Entry Forms for Provincial Qualifiers only. On behalf of the Wishing Well Lions Club, I would like to thank all of you for the help extended in staging our Scarborough Music Festival – 2018. Our Festival of Champions is on Thursday, March 29, 2018 starting at 6:00 PM up to 8:00 PM. This concert features select Winners of the festival who will perform the pieces they played during the competition. Clubs are reminded that all voters must be properly credentialed.